I’m not a good decision maker. Especially when it comes to travel. When I’m on the road I want to do, eat and see everything there is to do, eat and see, so much so that, ultimately, I end up with an ache in my head and anxiety in my stomach. The FOMO is real. What to do? Ask a local, of course! Welcome to the first 5×5: 5 locals, 5 must-see destinations each. It’s travel, simplified. With our second-annual #FPLet’sMove events coming up in just a couple of weeks, the first logical destination is Denver, Colorado. It’s been far too long since I visited this mountain town and, after reading the recommendations provided by the folks below, I think it’s time to take a trip. 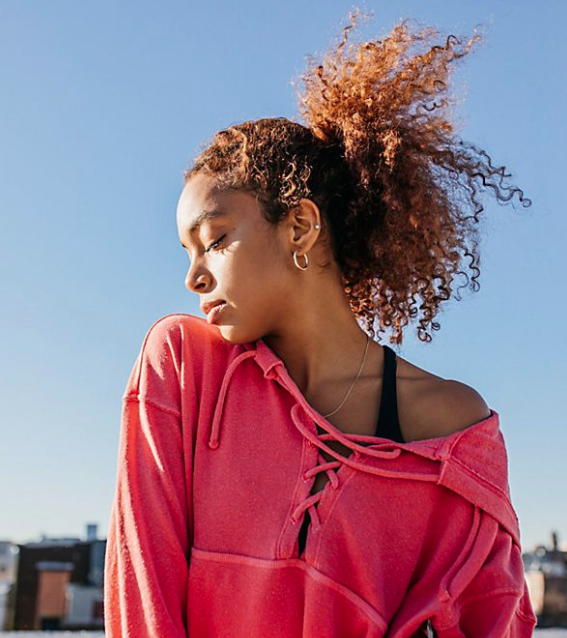 Whether you’re a Denver native searching for something fresh to do, or will be paying a visit from out of town for our event on January 27th with CorePower Yoga, be sure to set aside some time to peruse the destinations below. They’re not to be missed! The sibling to your mom’s Chicken Parmesan. What is on par with your grandmother’s kitchen? Patsy’s, obviously. You feel as if you are gathering around a table with your family back in the 1920s. Warm bread, good wine, house-made noodles and murals of wild European staples makes this the perfect neighborhood sit-down for a home-style Italian meal. Did I mention the Chicken Parmesan? Get that. If local live music is your thing, then there is no other place that I would turn to than the Hi Dive on South Broadway. It has served as the underbelly of Denver rock n’ roll for years and holds an excellent stage to many of the established and up-and-coming rock bands and beyond. It is the musical watering hole of the Baker neighborhood. Grab your ear plugs! Denver Rock City, baby! I love coffee just as much as you. There are so amazing Denver cafes but, to me, it is the ones with character that I find myself flocking to. Weathervane is one that is a must. It’s basically an old Victorian turned coffee shop. It feels like home when you walk inside. Knocking your boots and brushing the snow off your shoulders, you then hunker down to work, socialize or just exist and watch the world go by. There is a tiny vintage closet upstairs, too, for you to peruse and lots of cool art everywhere as well. Pay it a visit. Things change in cities and neighborhoods are often obvious subjects of change. 5points used to be very rundown but, with the growth of Denver, the area has been turning into a very hip and cool part of the city. 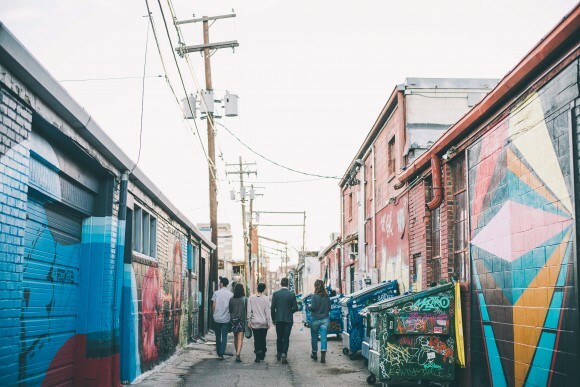 Larimer Street, which runs from the heart of the city to the north, transforms into an arts district home to amazing murals, colorful alleyways, small millennial businesses, bars and music venues. Two notable venues are the Meadowlark, a subterranean hotspot and the Larimer Lounge, which brings in national and local acts. Matchbox is must-see summertime bar. Backyard bocce ball and unmatched happy hour prices makes it a pre-gaming staple before catching the Rockies at Coors Field. Summer baseball in the city. It’s an urban outcrop of Denver that has true character and has no intention of halting. There are the obvious spots to visit near Denver. 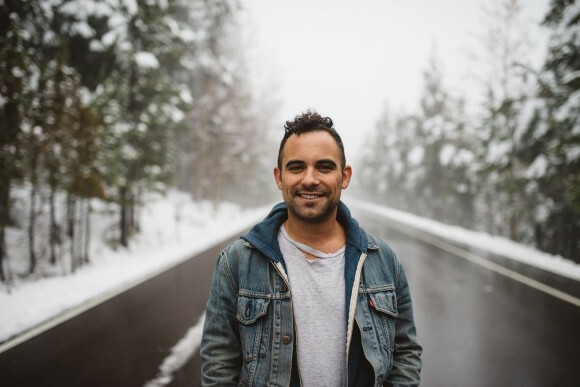 For example, Rocky Mountain National Park, St. Mary’s Glacier, the flatirons in Boulder and many more, but a beautiful and less visited spot that is right off of the road is Squaw Pass, a road traversing between Evergreen and Idaho springs. It winds into the mountains and wraps underneath Mount Evans, which is another amazing spot for viewing the mountains in all their glory. There are endless forests and view-points to stumble into. I shoot up there all the time. There is the occasional car that passes by, but many don’t take the time to pull over and explore. Pablo’s has been a Denver staple for 20 years. Not only is the espresso amazing, but the community, inspired by no wifi and charismatic baristas, is hard to avoid. Pablo’s has two locations surrounding Cap Hill. Local artists’ work is cycled through the shops as well. It’s easy to reconnect and recharge in this space. Work & Class joined the restaurant scene in Denver a little over two years ago and quickly became the best meal in town. High quality meat that melts in your mouth – amazing house mixers (MUST: Spicy-Basil Sour with Gin) – with unique and delicious sides. Space is small and you may end up sitting at a community table, but it is worth every minute. Order the Massive Attack Salad to start (a whole new take on croutons!) and make sure you end with the Butterscotch Pudding. I’d recommend a yoga class prior to this meal – you won’t want to say no to anything! Recently remodeled and upgraded – Union Station, Denver’s transportation hub, has everything, literally, everything you could need. World class restaurants and cocktail lounges, a hotel, a coffee shop, a grocery store – to name a few. The Crawford Hotel, Cooper Lounge, Snooze Eatery, Terminal Bar, Stoic and Genuine, The Kitchen Next Door…in the heart of downtown, this hot spot is great for photo opps, showing off the dynamics of the city and is centralized to all other must-do Denver activities. Capitol Hill (Cap Hill, for short) is Denver’s most densely-populated area, where everything is walkable and where you’ll see a dog or two walking alongside most residents. On your afternoon run or walk you can window real estate shop for some of the oldest and most beautiful homes in Denver. There’s always a bar, coffee shop or café quickly available to nourish your cravings, too, and with Cheesman Park, a 19th century cemetery-turned public park (be sure to look up the park’s macabre past) close by, there’s never any shortage of gorgeous outdoor space, too. Be sure to catch the sun setting over the city. Cheesman offers an incredible view! The modern day social club. Ace is a large space (bring your friends) where you can kill time with an impromptu ping pong tournament, enjoy craft beer and creative cocktails, take a Sunday afternoon yoga class followed by Dim Sum or enjoy an evening date over ramen and sake. The idea of social is nailed in this space – the only time a TV shows up is if the Broncos are playing! 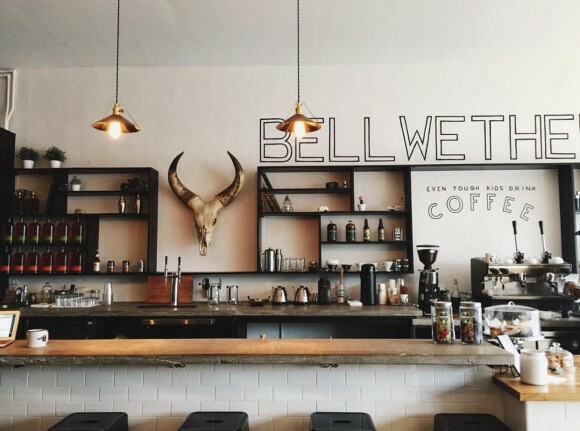 Sunshine, rain, or snow, Bellwether houses an atmosphere fit for any day. As soon as you walk in, the aesthetic will ignite your creativity. On the right, they hold a full-service coffee bar including cold-brew coffee on tap, as well as whiskey on a nitro tap. The left holds a small boutique filled with selections ranging from For Love & Lemons to Ruckus, a local Colorado apparel brand. My guilty pleasure is sitting by the window for hours with a hot chai tea latte on a dreary day with my journal for when creativity sparks. There are a lot of great restaurants and bars in Denver, but Great Divide holds as the best brewery in town. Whenever friends come into town, this spot is a staple. Ranging from the English-style Denver Pale Ale to the famous imperial stout, Yeti, this year-round hang out is sure to satiate your palates. If you’re hungry for more than a drink, there is always a food truck right outside with vegetarian as well as meat options. If you’re looking to head out of the downtown bustle, Red Rocks will surely impress. 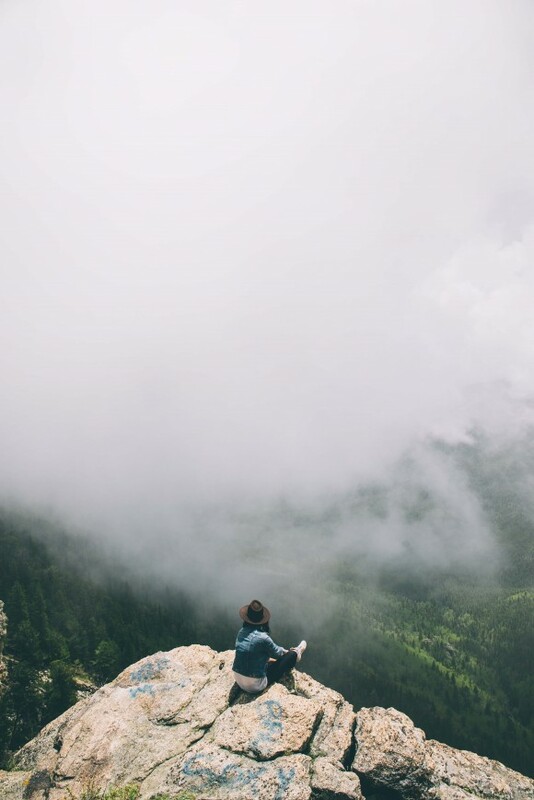 Whether going for a show or just to check it out, Red Rocks is known as a “catch your breath” type of spot. Whenever friends want to visit, I try to plan around a show of one of our favorite bands. With a view of downtown Denver and an impressive sunset sky, Red Rocks is one for the books. Tucked in the heart of Capitol Hill resides Cheesman Park. This grassy oasis is known for lazy, sunny days and summer jazz nights. Have a couple hours to kill? Grab your favorite picnic blanket, yummy food and company and you’ll know what the buzz is all about. This is a great place for new conversations and friends. Surrounded by antique homes built in the late 1800s to early 1900s, you’ll be wondered by the contrast of the towering downtown skyscrapers. Just don’t look up what it used to be! Picture it. Your favorite band playing on the speakers, a fresh mimosa and pineapple upside-down pancakes right in front of you. The list could keep going for what’s on this menu, but I’ll save the spoilers. Snooze is a Denver must. The energy on a Saturday or Sunday morning fills the entire space with a laid back, happy environment. This place will impress any appetite and change the way you look at brunch forever. Be prepared for a wait, though! This place is packed, but for a great reason. Want to beat the line? Order for pick up and they should have your food ready fresh, within 20 minutes. Whether you are looking for a nice Denver stroll or a 10+ mile long-distance training day, the High Line Canal is a beautiful stretch of path through Denver’s south side suburbs. The trail winds for over 70 miles and is accessible to walkers, runners or bikers. The trail is also dog-friendly if you and your pooch want to get some miles in the great outdoors. Buffalo seitan wings are just one of the awe-inspiring vegetarian dishes you can treat yourself to at City O’ City. The rustic indie restaurant serves up breakfast, lunch, dinner and has a fun late night vibe. 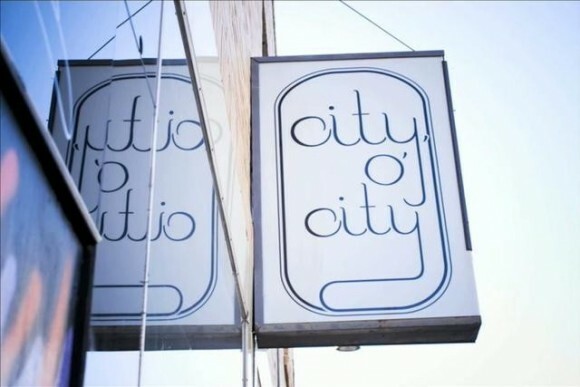 City O’ City is also a block down from the original CorePower Yoga off of Grant Street, and the perfect spot to head to after a hot yoga class. In search for a mix of new and used outdoor gear? Wilderness Exchange has it all. Whether you are a frugal climber, skier or backpacker, this locally owned and operated consignment shop offers a diverse selection for all kinds of Colorado adventures. Make sure to head downstairs to their basement to scope out some of the best goods! Tibet Imports brings handcrafted gems from Nepal, Tibet and India to Denver. You can spend an afternoon browsing their eclectic assortment of goodies and get to know the shop owner, Sarita. Sarita offers Vedic chart readings to help you create meaningful prayer Mala beads. A prayer Mala is a set of beads, a magical necklace or meditation garland that has been worn by yogis for thousands of years. At Tibet Imports you can craft a handmade mala by selecting your own stones, color of string and tassel. Americano lovers, look no further. 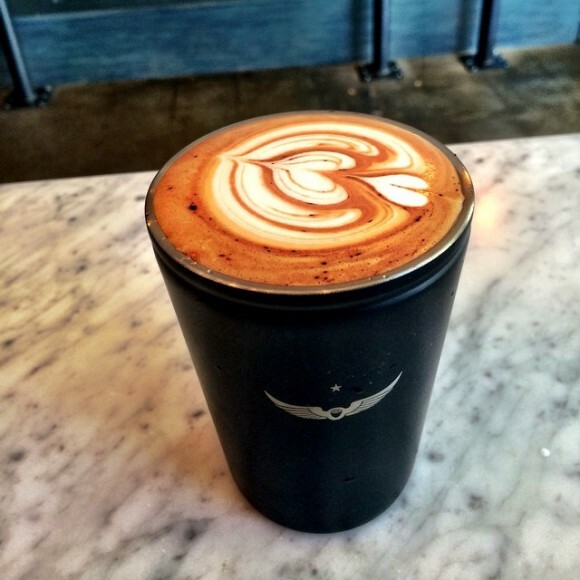 Aviano Coffee is a sleek coffee spot with a lofty open feel in the heart of Cherry Creek. Their delightful coffee is complimented by their shop’s open floor plan and minimalistic, simple feel. I am also a sucker for any shop that can artfully create a heart out of foam on my cup of joe. Great attention to detail in every latte or cappuccino that comes across the coffee bar. A walk in nature is always good medicine and no matter what time of the year it is, Lookout Mountain is my favorite (local) hiking spot. The secluded, winding road leading to the peak brings instant calmness to an otherwise hectic day. Nothing beats breathing in crisp mountain air while overlooking the panorama of the Rockies, Golden and downtown Denver. Simply put, this location is a must-see. There are multiple hiking/biking trails that accommodate both the novice and fitness enthusiast. If you’re anything like me, you’ll pack a picnic, load up the pup and bring a camera to this dreamy destination. At Ironwood, all it takes is a walk through the door to immediately fall in love with your inner green side. Located on my favorite strip in Denver (S. Broadway), this gem is known for potted succulents, air plants, terrariums, crystals & butterflies.. need I say more? The ambiance drew me into this world like a bumblebee to a flower. My obsession began a few years ago while sifting through large picturesque nature books, breathing in the earthy smell of Palo Santo incense. Local artists fill their antique shelves with original paintings, well-crafted pottery and specialty jewelry. Whether you have a green thumb or not, the staff is ready to please and share all the information necessary to keep these unique little plants alive and healthy. Denver is known for big burrito joints but nothing makes foodies (on a budget) happier than Illegal Petes. Their broad menu ranges from mouth-watering fish tacos to spicy chicken burritos and overloaded nacho bowls! This joint had me hooked on my very first visit with simple chips and queso! Open early and closing late, they’re always my first recommendation for anyone visiting Denver with a desire for tex-mex. The newest location on S. Broadway is my go-to, sporting an outdoor patio, open area bar and indoor stage! Don’t be surprised if the casual atmosphere lures you in to sticking around for one more margarita. There are countless breweries in the Mile High City, but what makes Station 26 one of my favorites is its family-friendly vibe and delicious beer assortment. Whether you enjoy light, dark or hoppy, there’s a time a place for them all! I’ve taken my friends and family to this lounge numerous times and it never ceases to impress my guests. To top off the rad atmosphere and killer beer, the brew house is purposefully located inside an old, renovated fire station. The former fire-truck garage has been converted into an ultimate hang-out with the garage doors open all summer long. Food trucks visit the brewery on a daily basis, selling grub that compliments each beer on tap. They also have a dog-friendly patio that’s excellent for catching rays. So if you’re wondering which brewery to visit on your stay, this one’s a must! This hip spot is located below the streets in an area called “5points” near downtown Denver. Meadowlark is another favorite venue for local artists, bands and myself. The tasteful lighting and comfortable interior makes you forget you’re underground. This place can be best described as your ultimate house-show. The intimate space is perfect for better connecting with locals but also sharing good conversation with performers. Ranging from local to international bands, it accommodates both acoustic sets and louder groups…making it ideal for any mood. Check out their calendar for upcoming events when you’re in the area for a taste of Denver’s music scene. + Are you a Colorado native? What would you add to this list? Emmi – Thank you for sharing your thoughts and for the link to the Denver post article. To be clear, these recommendations were provided by the Denver residents profiled within the article. Y’all are forgetting Little Owl coffee at 1555 Blake St. The best coffee in Denver. Small, modern shop. Knowledgeable, friendly baristas. Close to lots of downtown fun. All around favorite! Thanks for your response, Julie. I think the fact that these recommendations were provided by Denver residents is all the more reason for them to be well-informed. Feel free to reach out via e-mail if you’d like to discuss more! Emma– agree totally about gentrification in Five Points. I would add Good Chemistry in Cap Hill, an upscale and organic dispensary. Also, Sanchos Broken Arrow and Cervantes (which is in Five Points) but is not part of the gentrification- it is the BEST live music venue in Denver, besides Red Rocks. For culture, I’d say day trip to a mining ghost town– there are many on the front range. Emma – I couldn’t agree more! Absolutely nothing against the Denver residents who provided the content, it’s just a rampant problem in our city. I may feel entitled to say so because I was born/raised here, but it gentrification should be obvious to anyone. I thought it was very sad that particular resident opened the article with Patsy’s then went on to include 5 Points. Patsy’s is now closed because, gentrification. This is awesome! I love Denver, and I can’t wait to check out some of these cool spots when I go back in October! Thanks so much for all the info! Thanks for the post! Can’t wait to check out some of these spots!